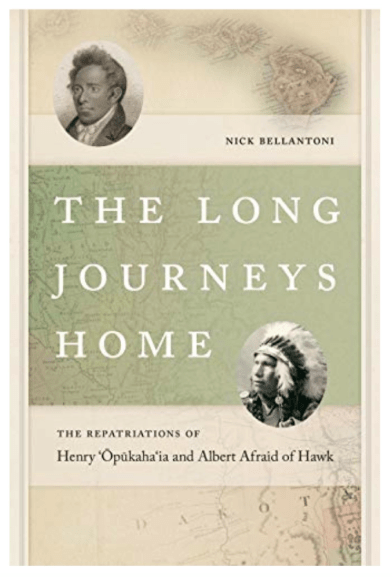 The Orange and Milford Historical Societies will host a Joint Meeting at the Orange Congregational Church Community Room on Wednesday, Feb. 6 at 7 p.m.
Bellantoni will tell of Henry ‘Opukaha’ia, a Native Hawaiian and Itankusun Wanbil, an Oglala Lakota and the circumstances that led them to Connecticut. Copies of the book will be available. Light refreshments will be served. 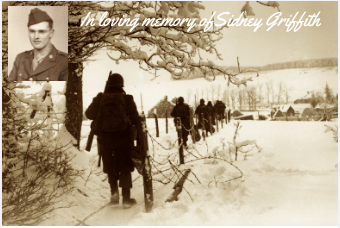 Sidney Alan Griffith, 94, died on Thursday, November 1, 2018. He was predeceased by his parents, Mabelle Perkins Griffith and Franklin D. Griffith; brother, Irving Griffith; sister, Charlotte Griffith Bailey; and two brothers who died in infancy. He was born in Wyoming, New York on October 2, 1924. Sid was a veteran and very proud to have served his country. In 1942, he was drafted for World War II. Following training in Fort Leonard Wood and Fort Breckinridge, he went overseas aboard the Aquitania unescorted and zig-zagging to Scotland. As a member of the 75th Artillery Division, he took part in the Battle of the Budge, serving under Patton. Discharged in 1946, he attended Alfred Tech, graduating in 1949. On April 8, 1950, he married Jean K. Green from Florida, NY, having met her while she was attending Geneseo State College. Inseparable, he spoke of his wife as the love of his life and referred to her as his bride. With a degree in heating and air-conditioning, Sid moved to Endicott, NY to work for Northrup Supply where he stayed throughout his career. Before retiring he was in the position of President. He received an award from the PHCC (Plumbing, Heating and Cooling Contractors) and the Lion’s Club Melvin Jones Fellow Award for dedicated humanitarian services. Sid and Jean lived in Binghamton, NY for 66 years prior to moving to Orange, CT in June of 2018. In Binghamton, he was a member of the Broome County Historical Society, Friends of the BC Library, Binghamton Lions Club, and the Roberson and Phelps Mansion Museums. Sid enjoyed traveling, working on home projects and gardening with Jean. He especially enjoyed times spent with his family at their summer cottage on Yankee Lake, NY. Sid and his wife were fond of their church family at New Hope Presbyterian Church in Vestal, NY and have attended Orange Congregational Church since their move in Connecticut. He is survived by his wife Jean, daughter Karen deFur-Maxwell (William) and son Alan Griffith (Lynn Dunn), grandchildren, Katie deFur Fallon, Nicole deFur Feuerstein (Donald), Leah Griffith and Seth Griffith. He is also survived by five great-grandchildren, Kristin, Daxton and Makayla Feuerstein and William and Connor Fallon, nieces Joy Griffith Cline (Jim) and Sally Griffith Mariage (Duane), great nieces and nephews and cousins Mary Griffith Weber (Kenneth), Dorothy Doran Zehler and Edward (Natalie) Doran. A celebration of life service will take place at Orange Congregational Church, 205 Meetinghouse Lane, Orange, CT on Saturday, November 24, 2018, at 1:00 p.m. The committal service will be held in the Florida, N.Y. cemetery at a later date. Memorial gifts may be sent to New Hope Presbyterian Church, 1900 Vestal Rd., Vestal, NY 13850. The family has been compassionately cared for by the Cody-White Funeral Home, 107 Broad St., Milford, CT.
To leave online condolences, please visit www.codywhitefuneralservice.com. This Orange Congregational Church will host its 10th Annual Strawberry Festival at the Orange Fairgrounds, 525 Orange Center Road, on Saturday, June 9 from 9 a.m. – 5 p.m. You can share in a day of food, fun, and family. YES, this is the same festival that used to take place on the town green in front of the church, but because of its popularity, it was moved to this larger venue a few years ago. If you get there early you can look forward to pancakes with homemade strawberry compote and whipped cream or just with strawberries! If you are not an early riser, that is okay, hamburgers, cheeseburgers, hot dogs, cheese dogs, chili dog, sausage and peppers, french fries, pulled pork, grilled cheese, veggie burgers and more will be available for sale. For dessert, you can decide between strawberry shortcake, a slice of strawberry pie or strawberry rhubarb pie, and chocolate covered strawberries! Ask for “to-go” containers! NOTE: Our suggestion, bring a bit of extra money and bring home a Strawberry Rhubarb Pie to share with everyone you know. They’re amazing! There will be live music, kids games, rides, face painting, a hayride, pie eating contest, Red Car show, and more than 60 different vendors selling all types of goodies. Admission and parking for this event are FREE. The Orange Congregational Church Nursery School Bake Sale will take place on Sunday, May 27. 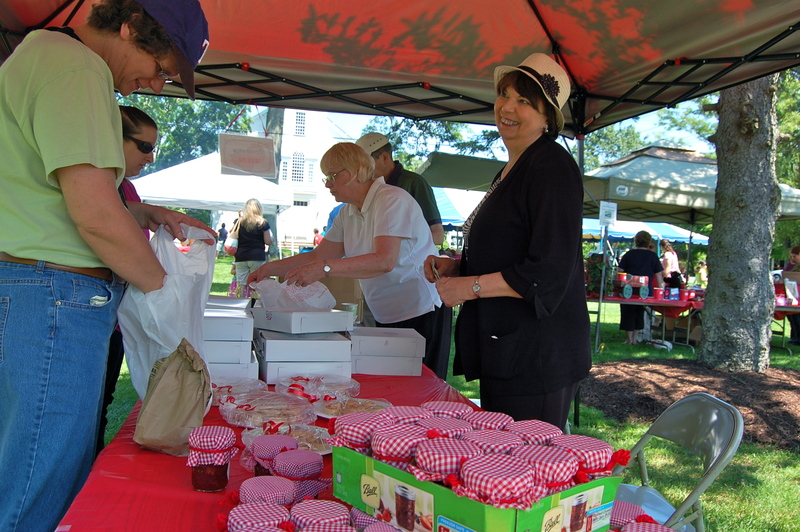 Many baked goods, sweet treats, hot coffee and cold drinks and much more will be available at their tent on the Orange Town Green during the Memorial Day parade. This annual fundraiser has become a tradition at the parade and helps to support their faith-based school for three and four-year-olds, which has reached out into the community for more than 50 years. 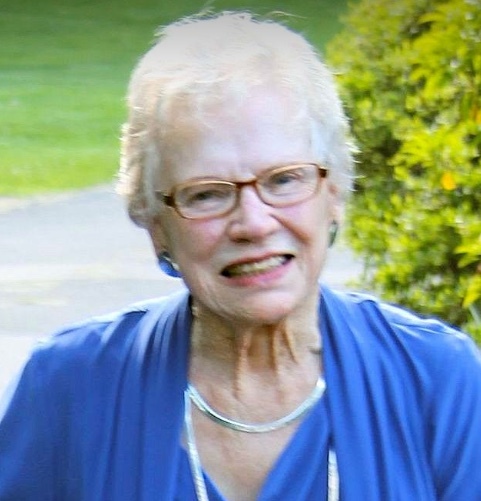 Arline Geane, 92, of East Otis, Massachusetts, formerly of Orange, CT, passed away peacefully in her home on Saturday, April 28, 2018. She was born on August 21, 1925, to the late Paul Schutt and Freda Brandt. Arline was predeceased by her husband George A. Geane, her daughter, Jennifer D. Geane and her sisters, Dorothy Macmillan and Phyllis Peatross. Arline, better known as “Amah,” was the world to her children and grandchildren; she attended every event and loved sharing holidays and special times with her family. Amah was everything they all needed in life and more. Anybody that she would meet immediately called her Amah and would fall in love. She had a heart of gold and touched every single person she came in contact with. Arline enjoyed spending her time at the senior center, gardening, learning how to create new recipes in the kitchen, doing jigsaw puzzles, and playing Words With Friends on her iPad and spending time with her best cat, Sasha. Arline leaves behind her children, Geoffrey (Lynne) Geane of East Otis, MA and George (Linda) Geane II of Orange, CT. She also is survived by her six grandchildren, Jason (Jennifer) Geane, Allison (James) Paturas, Katryn (Tony) Crawford, Elizabeth (James) Lafo, Kimmery (Malcolm) Migel, and Parker (Courtney) Geane and her two great-grandchildren, J. Christopher Geane and Landon Lafo, along with many nieces and nephews. A memorial service will be celebrated on Saturday, May 19, 2018, at 10 a.m. at Orange Congregational Church, 205 Meetinghouse Lane, Orange, CT. Entombment will follow at Orange Center Cemetery on Orange Center Road, in Orange. Here is the 2018 Holy Week and Resurrection schedule of events at Orange Congregational Church, 205 Meeting House Lane (at the corner of Orange Center Road) in Orange. If you wish not to process, please go directly into the Sanctuary. This will be a lunch theater style dramatization of the last days of Jesus’ life. For a $5 per person suggested donation, we will offer Middle Eastern fare. Sign up with the church office at 203-795-9749. After worship, we will meet at Chip’s Restaurant in Orange for breakfast. 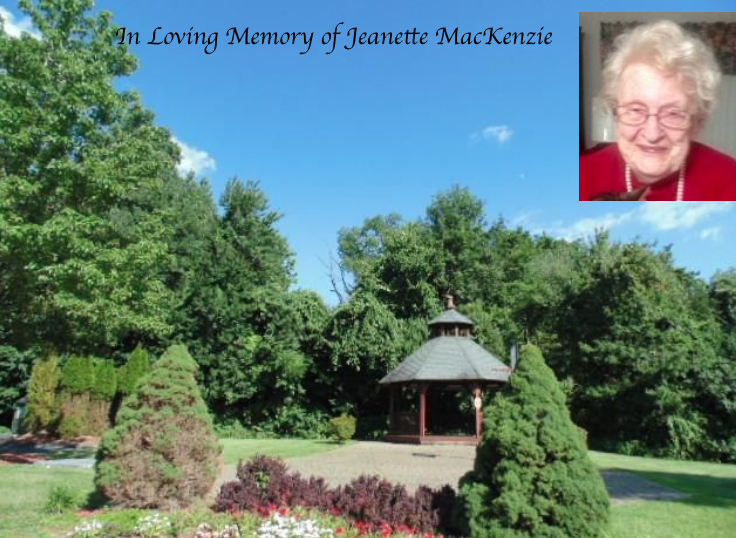 Jeanette P. MacKenzie of Silverbrook Estates, Orange, passed away peacefully on January 21, 2018. She was born on January 26, 1926, daughter of Fritz E. and Jennie Nylander Peterson. She is survived by her son, Carl Dawson, her stepson-in-law, Charles Judd & four step-grandchildren. She was predeceased by her first husband, Stanley Dawson and her second husband, Roger MacKenzie as well as her companion of many years, Fred Ross, her daughter, Susan Dawson & her stepdaughter, Jane Judd. Jeanette enjoyed life at Silverbrook for many years. Director Sue, Nurse Michelle and Aid Lisa were all very kind and took great care of her. She felt fortunate to live there and enjoyed many friends and particularly her card games. She was a member of the Orange Congregational Church for 22 years. Jeanette worked as a bookkeeper and was employed for 18 years by Echlin Manufacturing. Interestingly, Echlin sold their property on the Branford River to CT Hospice and that is where Jeanette spent her final days. She was comfortable and peaceful with no pain at the time of her death. Visitation will be Wednesday, January 31, 2018, from 4-6 p.m. at the West Haven Funeral Home at the Green. A funeral service will follow at 6 p.m. at the funeral home. Interment will be private. In lieu of flowers, donations may be made in Jeanette’s name to Orange Congregational Church 205 Meeting House Lane Orange, CT. 06477. Robert Donald Eichman, 93, passed peacefully on Wednesday, October 18, 2017, at Carriage Green of Milford. He is survived by his loving wife of 66 years, Margaret Eichman, and his daughter Robin Eichman-Swan of Milford. Mr. Eichman was born in Jersey City, NJ, and grew up in Red Bank, NJ. He was a graduate of Stevens Institute of Technology and served in the Navy during WWII. He worked at Robertshaw Controls in Milford from 1965-88. 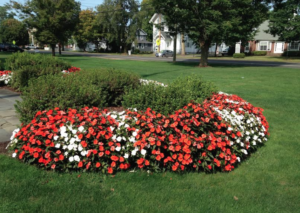 He was a resident of Orange for many years, but spend the past 4.5 years living in Milford. He was a proud member of the Orange Congregational Church. He and his wife traveled throughout the U.S. and to more than 30 countries. He was an avid athlete and still riding a stationary bicycle until earlier this year. A celebration of his life will be held on Saturday, November 11, at 4 p.m. at the Orange Congregational Church. Interment with military honors will be private. The family is being compassionately cared for by the staff at the CODY-WHITE FUNERAL HOME, 107 Broad St., Milford. 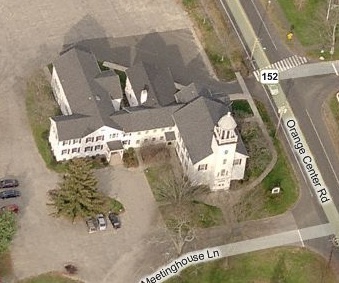 Contributions in his name may be given to the Orange Congregational Church. Orange Congregational Church Strawberry Festival took place on the Orange Fairgrounds on Saturday, June 10 from 9 a.m. to 5 p.m. 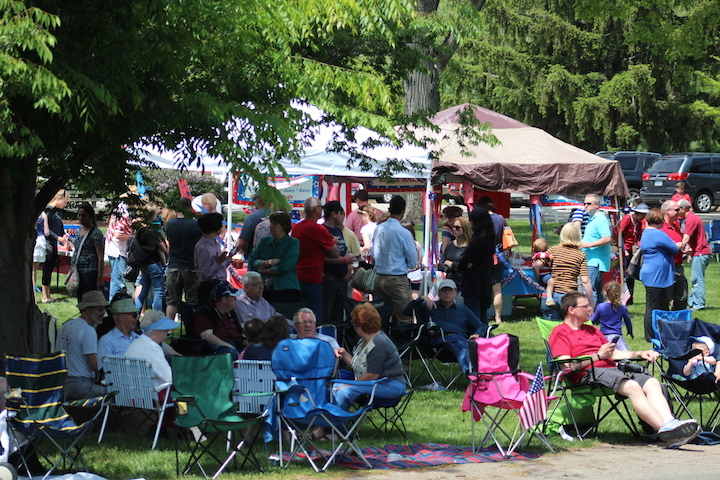 The event included an expanded Arts and Craft Fair and Home Show with live music, hayrides, children’s events, a Red Car Show and fabulous food, including sausage and peppers, burgers, hot dogs, pulled pork, strawberry shortcake, sundaes, and chocolate-dipped berries. The Orange Congregational Church Pilgrim Fellowship Youth Groups will sponsor the Annual Community Tag Sale on the Orange Town Green, Orange Center Road, Saturday, May 13, between 10 a.m. and 2 p.m.
Space can be rented for $20 (with a table provided — $25) by calling the church office at 203-795-9749. Coffee and donuts will be on sale by the Youth Group, as well as, hot dogs and soda. If it rains, the Tag Sale will take place on May 20.